Guest speaker Dr. Zhonging Chen, Professor of History at University of Victoria. spoke on Victoria’s role as a destination of Chinese migrants. Evidence of coins on Nootka Sound , Vancouver Island and other evidences in BC. show Chinese contact before Columbus’ landing in 1492. Later Victoria Chinese immigrants played a key role in raising funds for the Republic of China by the Chinese Empire Reform Association in 1899 encouraged by visits from Dr. Sun Yat-sen. The evening was enhanced with another excellent dinner by Lioness Vicky at Golden City. 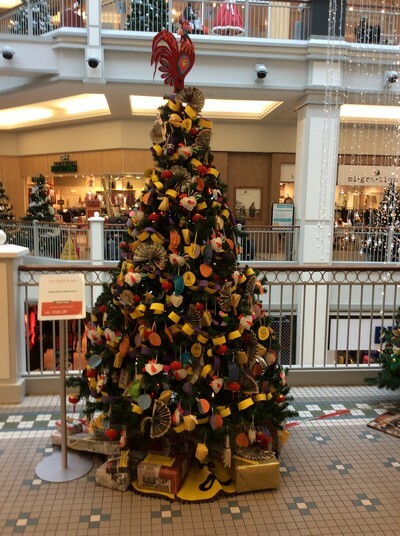 This entry was posted in FESTIVAL OF TREES, Fun and Socializng and tagged B.C. 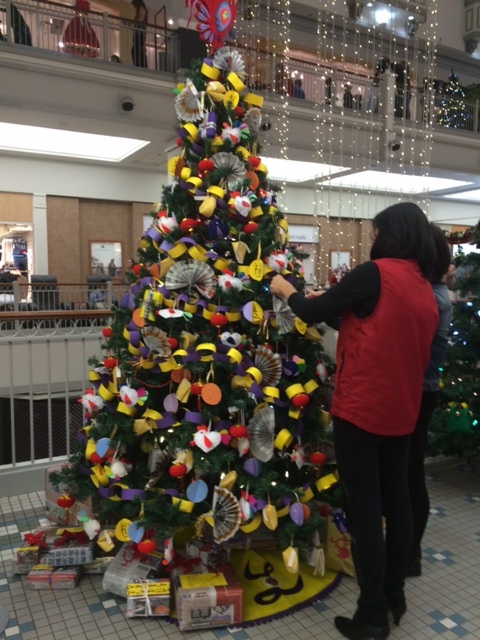 Children's Hospital Foundation, CCFA, Chinese folk art, Chinese heritage, community support, cultural activities, Dr Zhonging Chen, Festival of Trees, Golden City restaurant, Victoria Chinatown Lioness Club, Year of the Rooster. Bookmark the permalink.